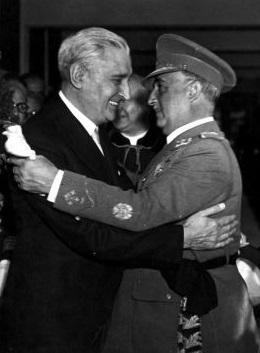 Antonio De Oliveira Salazar of Portugal (left) and Francisco Franco of Spain (right). Dimitris Michalopoulos is a Greek historian. The present paper observes the rules of the US Library of Congress for the transliteration of Greek names.